Montreal, 1 December 2017 – The Faculty of Law has learned with deep sadness of the passing of Professor Emeritus John W. Durnford on Thursday, 30 November 2017, at the age of 88. His death is a grievous loss to the McGill Law community. A native Montrealer, John Durnford was a two-time graduate of McGill (BA’49, BCL’52). 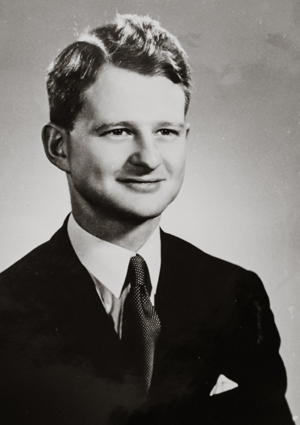 Admitted to the Bar in 1953, he practiced law for several years in Montreal before returning to McGill as an associate professor in 1959. He served as law dean from 1969 to 1974. In 1977, he was appointed Sir William C. Macdonald Professor of Law. Immediately following his retirement, McGill named him emeritus professor. Colleagues have underscored to me that his deanship came during a crucial period in the Faculty of Law’s history and that he proved a courageous and compassionate administrator and leader. The revolutionary National Programme was introduced in 1967, the first iteration of a curriculum combining the common law and the civil law. He played a vital role in ensuring the successful implementation of this innovative bilingual program. As dean, leading by example, he fostered an enduring pattern of mutual respect for differences and cordial relations among students, staff, and professors. Former colleagues of his, who generously shared memories of him with me today, remember him as energetic, funny, smart, soft-spoken, and very much the gentleman (in a three-piece suit and tie). Yet he was firm in advocating for fair treatment of colleagues – including the Faculty of Law’s first female professor. He took pains to ensure that the collection of photos of distinguished graduates hanging on the walls of Chancellor Day Hall included more women, setting the Faculty of Law on a path towards greater inclusiveness. A colleague who taught Feminist Legal Theory recalled him leaving in her mailbox clippings from the Gazette on women’s rights. After his deanship, John Durnford continued his contributions at McGill as a beloved and extraordinary teacher. He taught a wide range of courses, his expertise in special contracts and taxation being especially appreciated. In a bold move that few established law professors would dare to follow, in his forties he switched his research and teaching from the civil law to the law of taxation. In 1995, with co-author Stephen Toope, he received the Douglas J. Sherbaniuk Distinguished Writing Award, given by the Canadian Tax Foundation. Evidence of the deep appreciation with which generations of law students regarded John Durnford the teacher stands ready at hand. 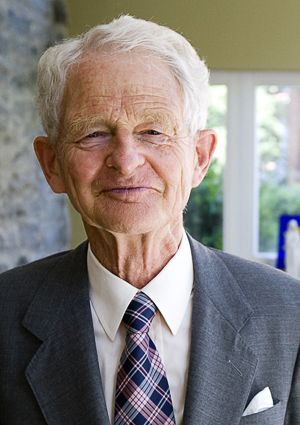 In 1987, the Class of 1962 established the Professor John W. Durnford Bursary. In the late 1990’s, the Law Students’ Association renamed its teaching award the John W. Durnford Teaching Excellence Award. Consequently, for the generations of law professors to follow him, receipt of the Durnford teaching prize marks a career highlight. In 2017, a classroom renovated thanks to the generosity of the Classes of 1974, 1975, and 1976 was renamed the John W. Durnford Classroom. In an institution that has been blessed by many exceptional scholars and teachers, this is a remarkable yield of student-initiated appreciation. Deeply collegial, John Durnford remained attentive and concerned for the wellbeing of professors in the Faculty of Law long after his deanship. He mentored young colleagues and paid attention to their health and happiness as well as to that of their families. While the Faculty of Law he led and served has a substantial international footprint and global outlook, John Durnford was especially proud of his place in the Quebec academic community. Shortly after his retirement, he and a handful of colleagues from other Quebec law faculties were honoured for their contributions to Quebec university life by the Association des professeurs de droit du Québec. In my travels meeting with McGill Law graduates around the world, I have heard accounts of many fond memories of Professor Durnford, inside and outside the classroom. The image of him astride his bicycle – helmet slightly askew – remains especially present in many minds. 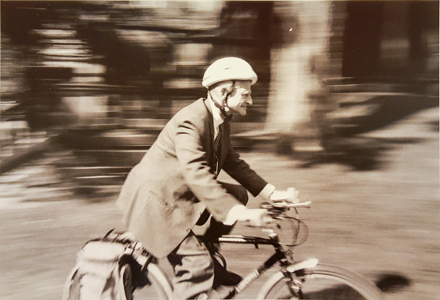 One colleague characterized it to me as his iconic image of the McGill professor of law. The Faculty of Law offers sincere condolences to his widow Elizabeth, his daughters Evelyn, Jessie (BCL'80, LLB'81), Diana, and Dorothy, and his grandchildren and great-grandchildren. In October, during McGill Homecoming, I welcomed the family back to campus so that they might inspect the magnificent Durnford Classroom. By that time, John was too unwell to be with them. We shared memories of him and celebrated the fact that the room named after him would facilitate the legal education of generations of students. We received many thoughts and memories about John Durnford. Read our guest book.